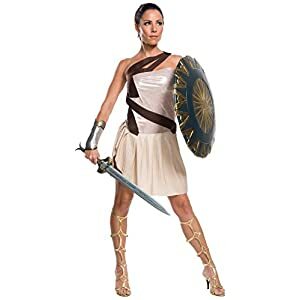 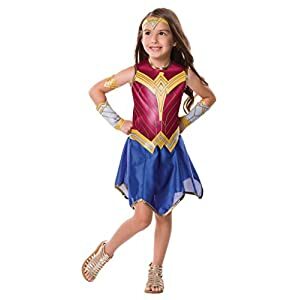 Wonder Woman costume dress, belt, gauntlets, tiara, and arm band. 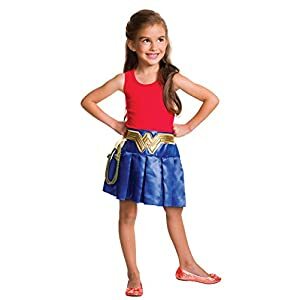 Important: costumes are sized differently than clothing, important to consult rubie’s child’s size chart and recent Reviews to make best selection. 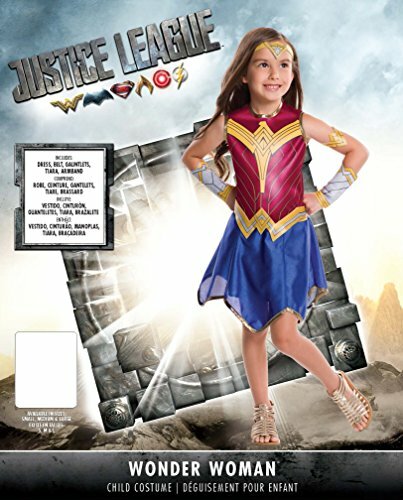 Officially licensed Justice League costume, only items sold and shipped by Amazon can be guaranteed authentic, a trademark of DC Comics. 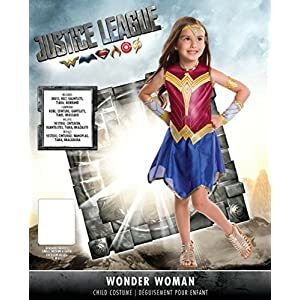 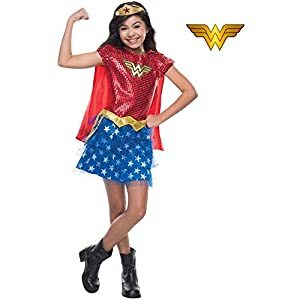 Officially licensed costume of Justice League wonder Woman from DC Comics. 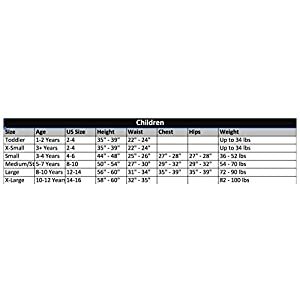 NOTE: costume sizing is different from apparel, be sure to review the Rubie’s Costume child’s size chart before selecting best option for your child. 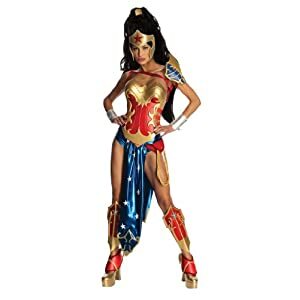 Rubie’s is in business and stocking product 12 months a year; a leading innovator in the industry, Rubie’s has the broadest product line of any costume Company. 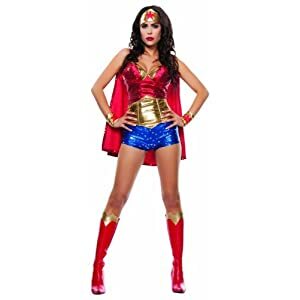 Rubie’s has more than 2 million square feet of office, development, warehouse, and production space. 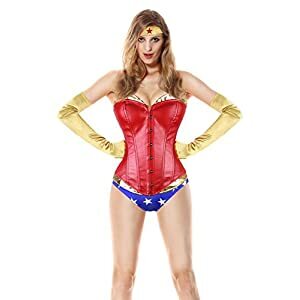 Products are manufactured all over the world, with approximately 35% of annual sales produced in Rubie’s owned us factories. 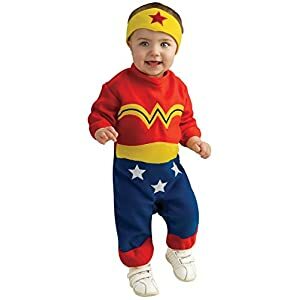 Same family ownership since the beginning in 1950.